Apparently Saturday is now Shoe Review Day. Today we have the Altra Repetition on deck. 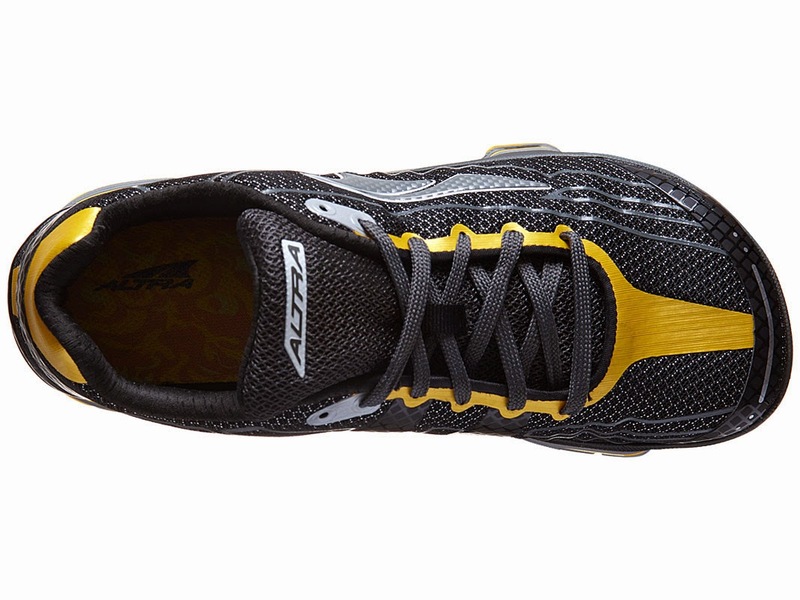 The Altra Repetition is a maximalist zero drop high support shoe with a wide toe box. Those four attributes make it a very unique shoe. In fact it is the only one on the market right now. The Repetition is 11.4 ounces, has a 0mm heel-toe drop and has a high stack height of 26-30mm from the lateral to medial side. The different stack heights has to do with how Altra has been doing support. From the heel to the forefoot, there is a 4-5mm wedge that is thickest on the medial side of the shoe in the midsole. The midsole and outsole both have a technology called StabiliPod, which provides stability in the heel, midfoot and forefoot. This is also one of the only shoes that has stability in the forefoot. For that reason it may be a fantastic shoe for people with a forefoot varus deformity or a lack of peroneus longus strength or length (it's also known as the fibularis longus and is responsible for assisting with arch strength, depressing the first ray of the foot and maintaining the arch). Fit: The fit is classic Altra. The toebox is wide and awesome. The heel is a bit loose. Even when I cinch down the laces. The amazing fit from the midfoot to the forefoot makes up for the heel, especially when you use a runners loop lacing technique (also called "Lace Locking"). Basically if you have wide feet, you'll feel right at home in this shoe. If you have average width feet, you'll have plenty of room in the toebox and will need to cinch the heel down. If you have narrow feet, you'll probably be swimming in the shoe unless you wear REALLY thick socks. Sole: Oh the sole. It's thick. Thick and supportive. With a 26-30mm stack height there is a ton of protection for your feet. Combine that with the StabilPod midsole and outsole and you have a wide and supportive platform. The sole provides stability to wherever you need it on the medial side because it travels the entire length of the shoe. Almost all running shoes have support only in the medial heel or midfoot. Newton is probably the only company that provided support in the form of a dual density midsole in the forefoot in their previous models, but the current line-up does not appear to have that. This amount of support is great for those who need a high stability shoe but want to get into the low to zero drop game. In addition, the thick stack height provides a great deal of protection for long miles, which is what this shoe is made for and excels with. Upper: The upper is fairly thick, but due to the high volume of the shoe is never obtrusive. I did not have any issues with the front of the upper buckling and pressing on my foot like I do with many other shoes (The Mizuno Wave Cursoris and Levitas are big offenders of this). In fact, Altra does an awesome job on their uppers in my experience. The inside is very soft and comfortable. I have worn the Altra Repetition sockless many times and never had an issue. The materials they use are top notch and I never had an chafing issues with or without socks. The only issue I had with not wearing socks was that my foot had a little too much room due to the high volume of the upper. But even with my foot moving around a bit at times when I forgot to cinch down the laces while sockless I never had any chafing issues. So the upper is thick, high volume but comfortable. 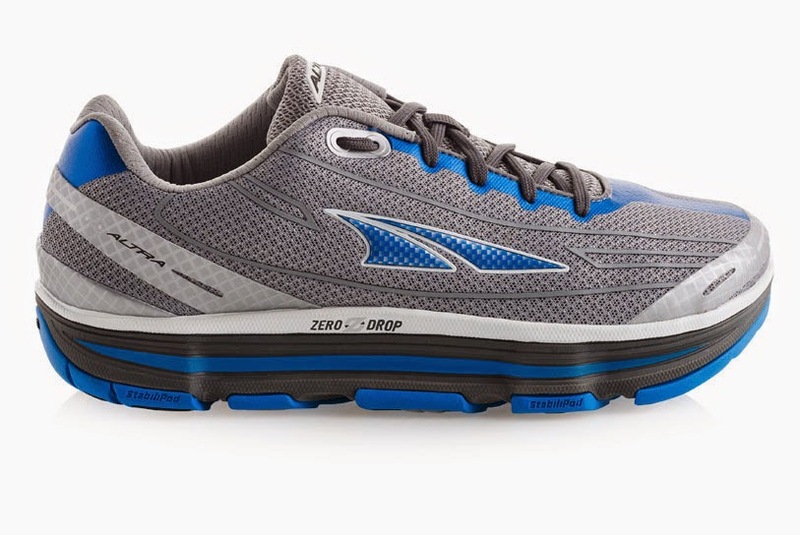 Heel-Toe Drop/Ramp: It's Altra, therefore it's a zerodrop shoe. I notice I wasn't as sore training in this shoe than other zero drop models, probably due to the rounded heel and toe spring. The rounded heel I am a big fan of as it seems to take the edge off hard landings for heel strikers or when you get tired. Durability: My current pair has a little over 500 miles on them. The outsole is a bit torn up, but more so what I would expect of a shoe at 200ish miles. Some of it has worn off, but thanks to the thick midsole I can't really feel it. The upper is what I was really worried about due to what appeared to be threads and seams coming loose on the lateral sides of the mid/forefoot area at around 150 miles. At 500 miles they have not come any more loose, so it's clearly more of an aesthetic issue than anything else. Due to the maximalist design, you could probably get well over 500 miles on a pair of Altra Repetitions, but since every person is different, your mileage on this shoe will differ. Weight/Responsiveness: So at 11.4 ounces and being a maximalist shoe (ie there is a huge hunk of stuff under your foot), this shoe can be a bit sluggish. It's obviously not supposed to be a light and nimble shoe, but it is a bit heavy when you start your runs. Especially when you're tired. The trade off is that it's extremely protective, supportive and is great for either extremely long runs or recovery runs. That being said, I have done many fartlek workouts in these shoes. They are not soft cushy shoes. They are protective. Which lends themselves to being responsive but solid shoes. I wouldn't use them for tempo efforts or speed work, but medium effort workouts and long runs are great. I really do not like soft pillow shoes. Despite their thick cushioning, I never felt like my feet were sinking into this shoe. And I like that. I don't like running on pillows. Pillows don't make good shoes. Thoughts as a SPT (Student Physical Therapist): I like this shoe. Why? Because it provides support wherever you need it. Not just putting everyone into a box and expecting them to have hypermobile or unstable subtalar or transverse tarsal joints (ie heel and midfoot). There are those that will have either a forefoot deformity or a weak peroneus longus/fibularis longus muscle and can't depress the first ray of their foot to touch the ground, maintain their arch and assist with the shock absorption qualities that the arch is supposed to have (optimally). This shoe really helped me out with a peroneus longus injury that I was able to train through while rehabbing myself. 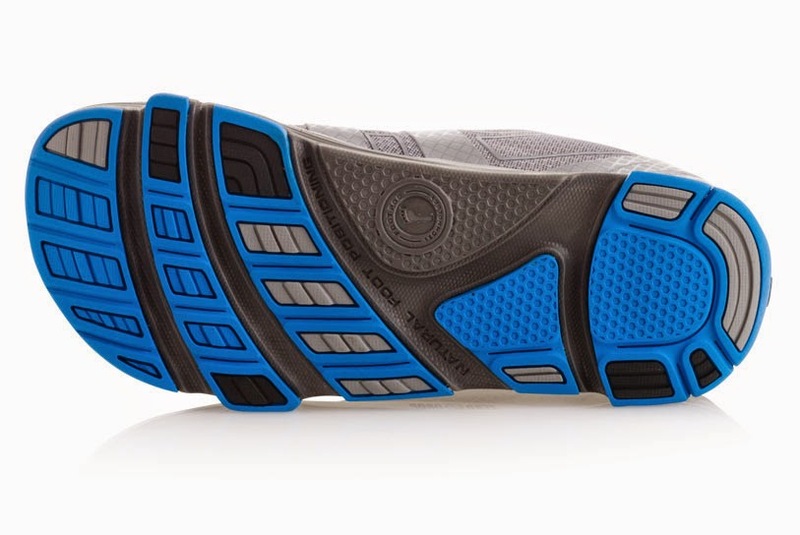 Plus, combine that support with a zero drop design and you have an EXTREMELY stable shoe. This shoe feels more stable to me than the Brooks Adrenaline. The interesting part is that the support in this shoe does not feel controlling like many traditional support shoes do. When I needed that support it was there. When I didn't, it wasn't intrusive. That is really important because some days you are really tired and others your feet and legs are great and you don't want to have your feet forced to do anything. I like non-obtrusive, on-demand support. Altra has done a great job with this shoe. They just need to lighten it up a bit. 11.4 ounces is pretty heavy. Final Thoughts: This is a fantastic shoe that other than weight and the slightly loose heel, I don't know what I would change. It has served me well through it's lifetime and is an extremely unique shoe that no one else has been able to match. I really like the full length support through the shoe, especially in the forefoot. Combine that fact with being a protective, zero, drop and wide-toe boxed shoe and you have an awesome product (that is a bit heavy). 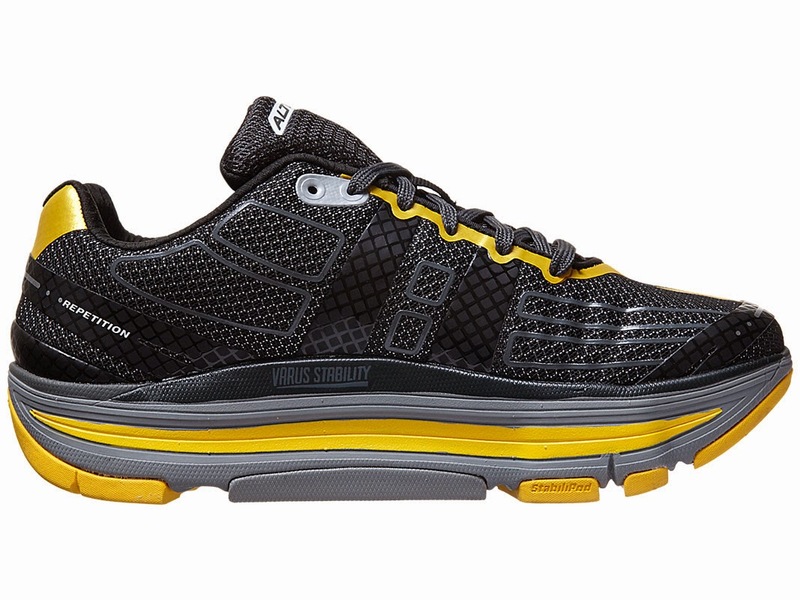 This shoe shines on long runs both on the road and trail and would be a fantastic ultramarathon shoe. Also because it is extremely comfortable and unobtrusive. 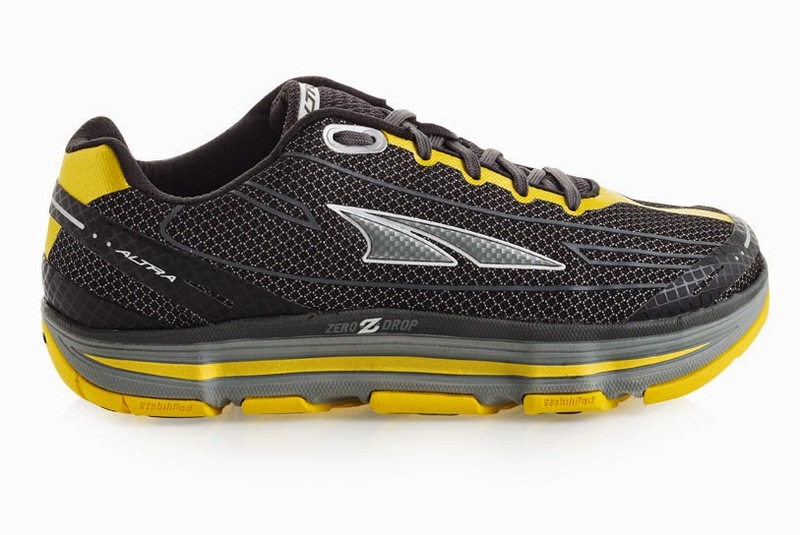 I am very excited to see where Altra takes this shoe and how it develops. If you need a shoe that has moderate to high support but also want a wide toe box and a zero drop platform, look no further. I cannot recommend this shoe enough. These shoes were a personal purchase and as always, my views are my own. 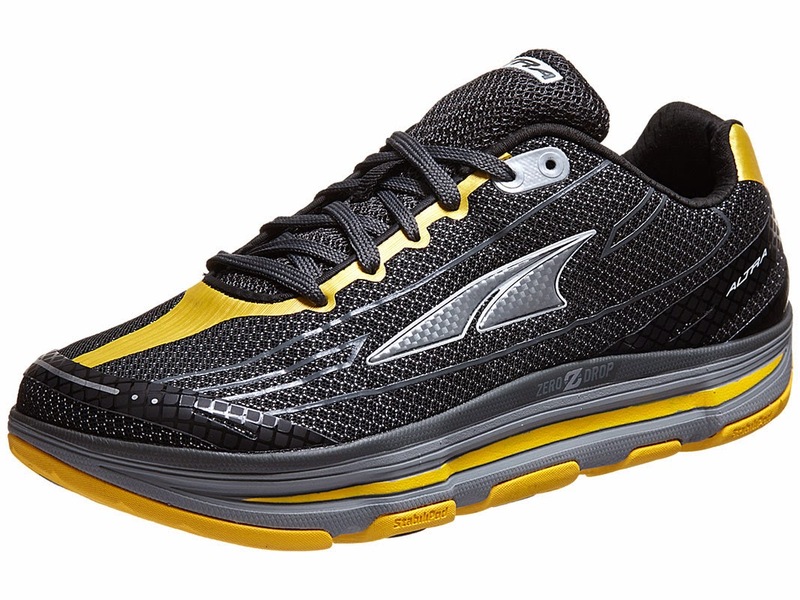 *Images obtained from the Altra Running website and Running Warehouse. Again, go down to your local running specialty retailer to check them out!